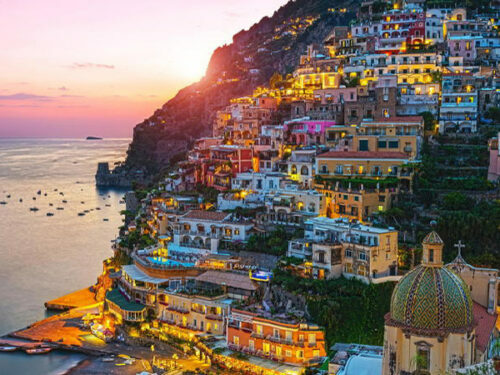 Our journey takes us along the gorgeous coastal road through Castellammare di Stabia and out along the highway to Herculaneum. On arrival at the entrance to the site you will be met and greet by the local official guide that will assist you at the ticket office to enter the site. Enjoy a guided tour of the site. Herculaneum was destroyed along with Pompeii in 79 AD, and rediscovered in 1709. 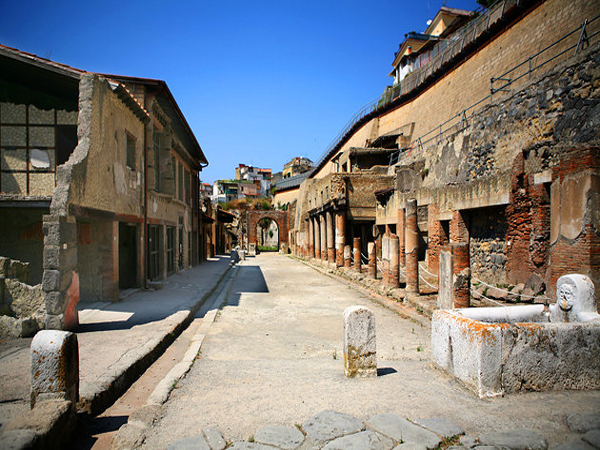 It was a residential town without Pompeii’s commercial importance, surrounded by the villas of the wealthy Romans. When the catastrophe of 79 AD occurred Herculaneum was submerged under a torrent of mud and lava that hardened into a soft tufa (a kind of course rock) that preserved many of the timber features and household objects which can be seen today and make Herculaneum one of the most preserved Ancient Roman site in the world. 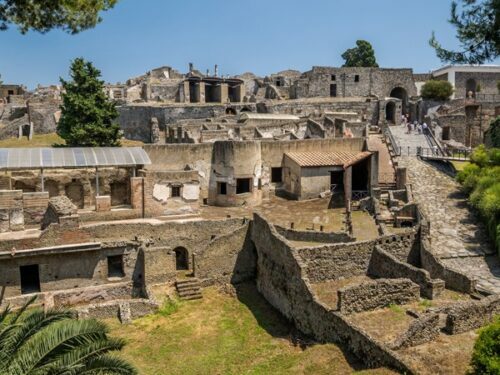 A large portion of the old Herculaneum is still buried under the modern town and even today excavations are going on to discover what treasures lie buried under the rock. 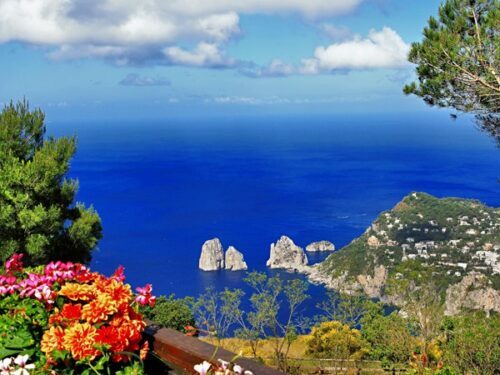 After the visit free time for a coffee break and a light lunch and continue towards Pompeii where we will join a guided tour of the site. Hot volcanic ash fell upon the city and its people, creating stone casts of the dead and their belongings. You will relieve the daily life of the Pompeian, as your guide takes you through the ruins of this ancient city. Remains of homes, baths, bakeries and the arena will give you an insight into the daily life of a bygone people, including the Temple of Vespasian and the Via del Sepolcri. 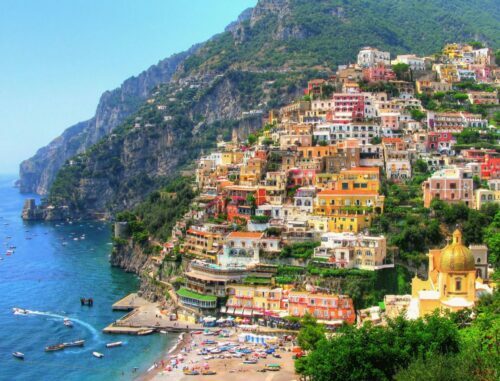 After the tour, you’ll return to the bus and back to Sorrento.